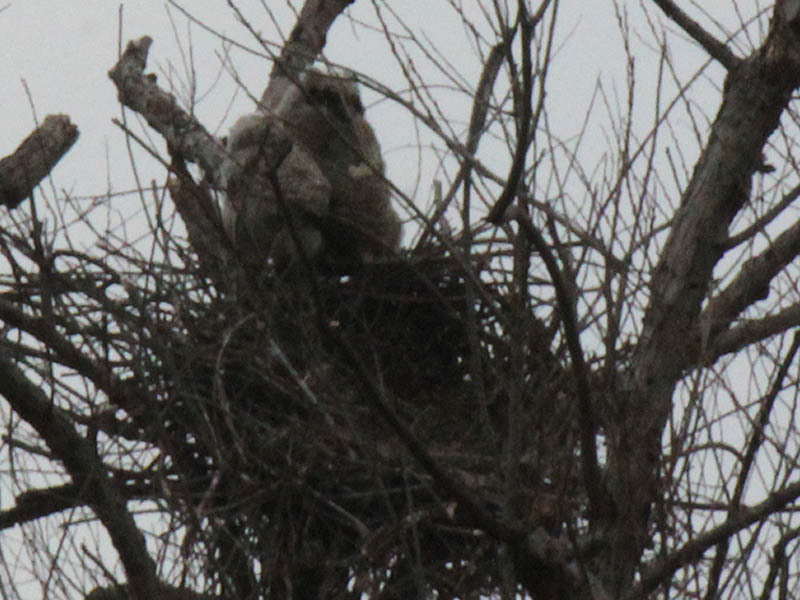 At the north location the two Great Horned Owl juveniles were keeping watch over the now empty dish of their nest. The owlets are becoming assertive, and have now moved to a place more to their liking. 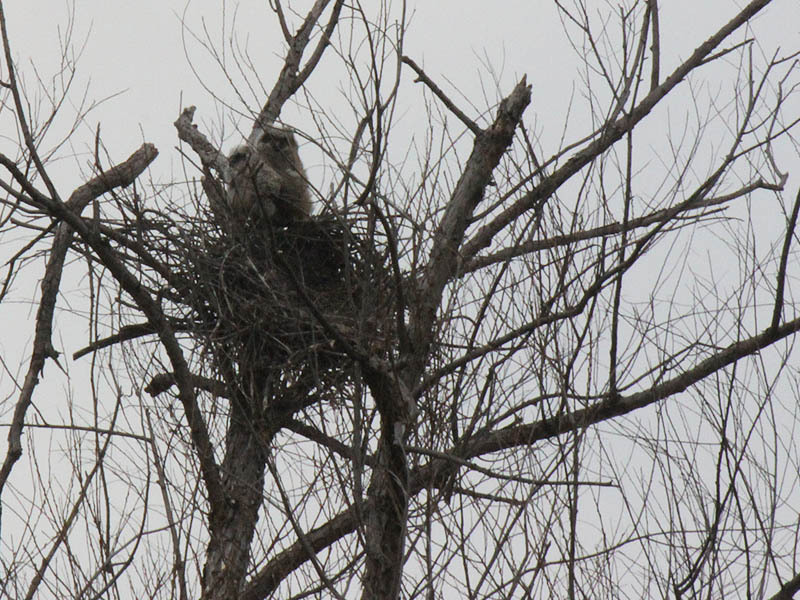 The mother owl was nowhere to be seen during the course of this observation, but these two owlets are certainly still under her care.